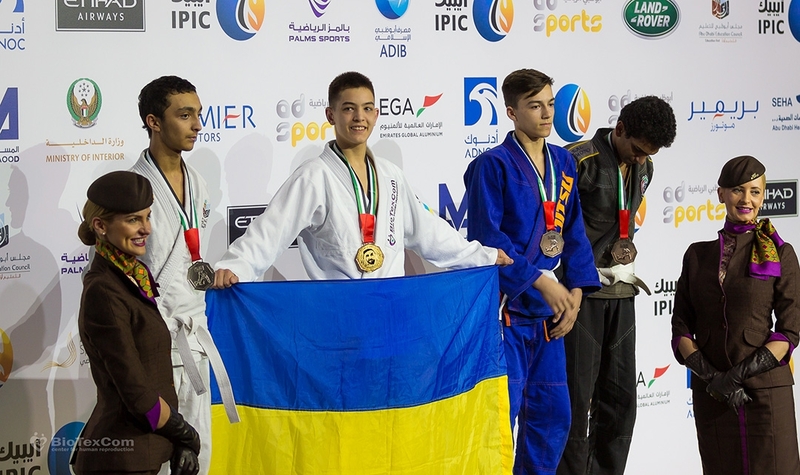 Four fighters of the SC Borets/ ZR Team Kropyvnytskyi represented Ukraine at the prestigious “Abu Dhabi World Professional Jiu-Jitsu Championship 2017”. Yaroslav Blazhko, Roman Nepota, Serhii Krasovskyi and Serhii Rusnak and led by their coach Ievgen Skyrda showed great results. Fighters had competitive spirit and were highly trained. 14-year-old Serhii Krasovskyi and Serhii Rusnak had four fights and confidently won all of them!